Don’t ya miss this one! 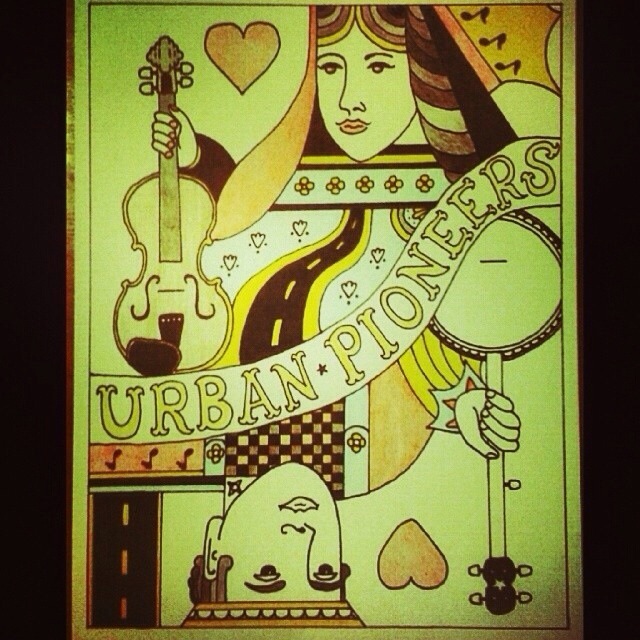 Pauly’s Hotel hosts a wild night of real deal roots music Thursday, August 7 with Urban Pioneers & Henry’s Rifle! With a lifetime of music between them and half a decade of music played together, Liz Sloan and Jared McGovern have been the backbone of some of today’s greatest underground roots bands. Currently both members of Jayke Orvis and The Broken Band, the pair have shined light on many other acts such as Bob Wayne & The Outlaw Carnies and Filthy Still. Most recently, Liz and Jared have been touring the United States and a healthy portion of Europe as the old-timey Americana act Urban Pioneers. Liz’s awe-inspiring fiddle combined with Jared’s claw-hammer banjo and storytelling lyrics recall the pure Appalachian sounds of yesterday, light-heartedly summed up by the band as “hillbilly music”. Now with Guido Greaserag on upright bass (we believe that to be his Christian name), the three-piece stick to their motto, “on tour now, on tour always”, as they trek their way through the Northeast in support of their new album, Addicted to the Road. See Urban Pioneers perform live Thursday, August 7th at Pauly’s Hotel (337 Central Ave Albany NY) with Built4BBQ’s own Henry’s Rifle. Doors 8pm. Admission is $5.